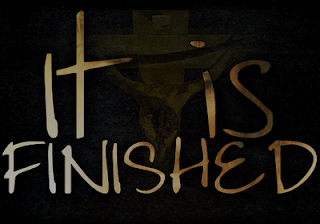 The TRUTH under FIRE: The FINISHED Work of CHRIST! Today, is Good Friday, the day we remember the sacrificial death of Jesus on the cross, and the finished work of redemption for mankind. Dear Father, Thank YOU! Thank You for sending Jesus! Thank YOU, that He is the propitiation for my sin! Thank YOU for opening the veil that I am no longer shut away from YOU! Thank YOU that the work is finished! Thank YOU for giving me an eternal hope and home with YOU! As we celebrate our redemption, let us think about what Jesus has done for us! Jesus came into the world to save sinners. He willingly left the bosom of the Father, took a body of flesh, and in that body He died and rose again. He finished the work that the Father gave to Him to do. As the risen Lord and Saviour, He is seated at the right hand of the Father on high, and His work at the moment is in heaven. Jesus, our Great High Priest, had by Himself purged our sins through the sacrificial offering of Himself. 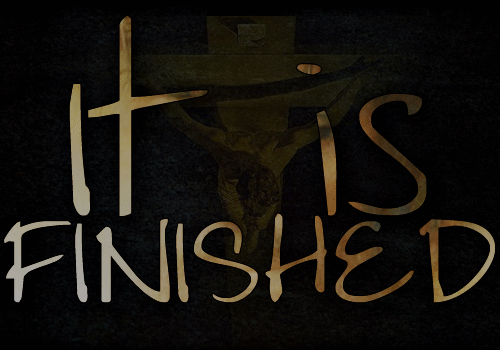 The foundation of Christ's priesthood is the one sacrifice which He offered; He (Jesus) "by Himself" purged our sins! The priests of the Old Testament offered up sacrifices daily, first for their own sins, then for the sins of the people. Unlike them, Christ did not need to offer up a sacrifice for His OWN sins, for He HAD NO sin. He was sinless. Neither does He need to offer up sacrifices daily for the sins of the people, for He did this ONCE, when He offer Himself. Jesus Christ the Son of God, the living Savior and Lord of all satisfied the sin question, ONCE, FOR ALL, FOREVER. For believers it is no longer the Sin-question; it is the SON-question: What think ye of Christ? Jesus saves sinners through His shed blood. Now He is seated at the right hand of God the Father, the highest seat in heaven as our High Priest. Christ through His shed blood obtained eternal redemption from sin for all who will believe. He bore the sins of many, He paid the sin-debt forever and "whosoever shall call upon the name of the Lord," receiving His finished work, "shall be saved" redeemed and born into the Kingdom of God! This is the most important of the fundamental truths of Christianity. It is not what we have done, but what God has done for us. His name is Jesus! Do you know Him? There is no place in the New Testament, there is no place in Christianity, for man-made, man-ordained, man-appointed priests. Jesus is our High Priest, and He is the only one who can take our place before Almighty God the Father. Paul tells us in Hebrews 10:20 that the veil which hung before the most holy place in the tabernacle in the Old Testament era was a type of the flesh - that is, the humanity of Christ. He was very God, yet He took upon Himself the form of Humanity. The veil was known as "the beautiful veil." It hung as a covering before the typical presence of God, the most holy place, separating the most holy place from the out tabernacle or temple area. The veil in the temple pointed to the humanity of Christ- God veiled in flesh. The veil in the temple shut men out from God. Jesus has opened wide the gateway, making it possible for men to enter into the very presence of God. He who would enter into the holiest must enter by the blood of the Lamb! The blood of the cross is the only plea God will hear. But through the blood of the cross of Jesus we have an accepted sacrifice. God has accepted that sacrifice, and through His blood Jesus opened the veil that believers may enter in with perfect assurance. Those who are believers have access into the presence of Almighty God only by virtue of the blood of Jesus Christ alone. Because of His finished work, we have access into the very presence of God's holiness, and for the believer our place is inside the rent veil, not on the outside. Won't you come to Jesus Today? HALLELUJAH! HE IS RISEN INDEED! !